MADISON – Confirmation of chronic wasting disease (CWD) in two white-tailed deer shot on a hunting ranch in Waupaca County has led to another farm in Iowa County being quarantined, Wisconsin State Veterinarian Dr. Paul McGraw announced today. The National Veterinary Services Laboratory in Ames, Iowa, confirmed the test results today. The bucks, both 4 years old, were killed on the 84-acre hunting ranch in Waupaca, but originated from a 15-acre breeding farm in Mineral Point, Wisconsin that contains 110 white-tailed deer, according to the owner’s most recent registration records. Both deer were natural additions to the breeding farm and were moved to the Waupaca hunting ranch in September of this year. Neither animal reportedly showed clinical signs of CWD. 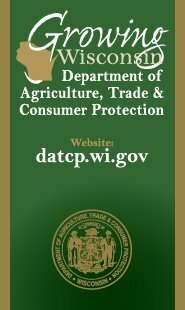 Both were sampled in accordance with Wisconsin Department of Agriculture, Trade and Consumer Protection’s (DATCP’s) rules, which require testing of deer that die or are killed on a hunting ranch. McGraw placed a quarantine on the Iowa County farm, which allows live deer to move by special permit only to the Waupaca hunting ranch; the Waupaca hunting ranch is already quarantined because of previous findings of CWD. The DATCP Animal Health Division will continue the investigation into each animal’s history and trace movements of deer to determine whether other herds may have been exposed to the CWD test-positive deer.